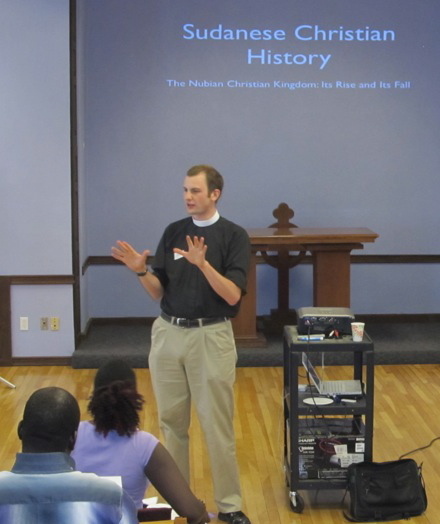 He taught a class on the history of the church in Sudan, from the perspective of evangelism and mission, to members of St. Paul’s Sudanese Mission in Phoenix. The class built on his prior grant work in Sudan and provided him the opportunity to learn from his students, who had lived the latest chapters of the history. He was awarded the Morgan Directors’ Award in 2012 for his cumulative immersion in Sudanese Episcopal culture and the effectiveness of his teaching gifts.